Kicking off the year to a great start, January saw the launch of a campaign on Walacea which sought funds for a project hoping to improve the diagnosis of a number of different conditions in African children, therefore ultimately quality of life and access to treatment, too. The campaign was a deserved success, with the team raising the £2,750 needed for the project to commence. No time wasted, the funds were immediately put to use, and we’re delighted to share with you an exciting update on the project’s progress so far! But first things first, a bit of background on the science. In general, the earlier a particular condition is diagnosed, the better it can be managed or treated. In developing areas, such as Africa, poor access to health care and a lack of understanding about certain conditions means that diagnoses are often made too late, or not at all, thus affected individuals don’t get the potentially life-saving treatments they need. For instance, Down syndrome is one of around 700 conditions that has associated characteristic facial features which help in the initial diagnosis, before confirmation by genetic testing. While these are well-recognised in European infants, they differ across populations and are hard to identify in some, such as black Africans, thus delaying the provision of medicines for associated health problems, such as heart defects. That’s why Dr Vinet Coetzee and colleagues embarked on their current project, which aims to identify the facial features linked with various conditions in African children, including Down syndrome, and use this information to aid diagnosis. To do this, they needed funds to build an accurate 3D camera to image and compare the facial dimensions of those with and without these conditions. Within only a month and a half of collecting the funds, the team build their camera system and used it for the first time in April at the Down syndrome sports day at Centurion High School, Pretoria. “It was a super busy day but well worth it,” said Coetzee. 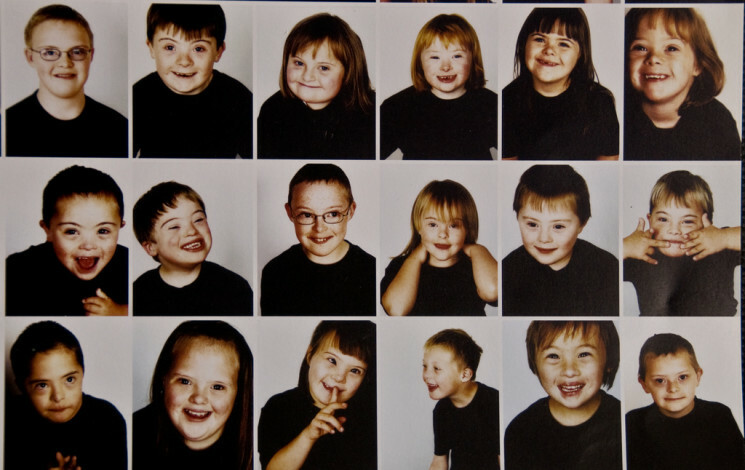 “Many parents were interested and in the end we recruited, interviewed and took photos of 20 children and young adults with Down syndrome. “We started compiling the first 3D images from the day. They look fairly good, but we want to improve them further.” For instance, they need to optimise the position of the camera so that more detailed information can be gathered on the sides of the face, Coetzee said. They also found that the kids were really interested in the equipment, so to not let curiosity kill the camera, they need to do some child-proofing! As a project that has the potential to change the lives of so many, it’s great to see that it’s already making headway. We’re all hoping this will be the first of many positive updates that might not have been possible without the generosity of the supporters who dug deep in their pockets to help make this research a reality. So we thank you once again for joining the campaign, and backing science you believe in!